2 What are Kidney Stones? 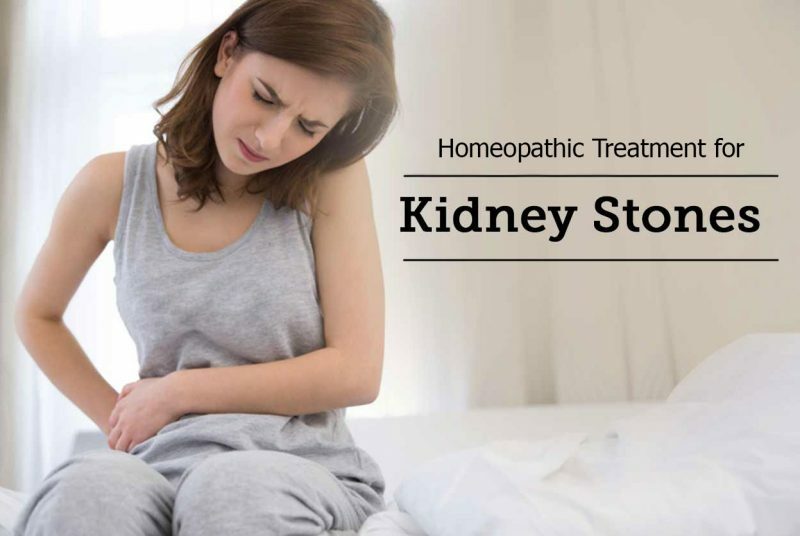 In this post of Homeo Expert, we shall discuss the best Homeopathic medicine for Kidney stone or homeopathic remedies for kidney stones. The medical term for kidney is lithiasis or nephrolithiasis and it is deposit of minerals and salts that are present in our kidneys. In Urdu or Hindi, we call it gurday ki pathri. It can lie in kidneys, ureters and urinary bladder. Most of the kidney stones are calcium and they occur in the shape of calcium oxalate. Oxalate is a substance which is present in our food and produced by our liver. There is another form of calcium stones that is, calcium phosphate that occurs due to metabolism problems. People who suffer from this type of stones they do not get enough fluids and have high protein diet and also have gout. Genetic factors can also lead to this type of stones. If your uric acid levels are high then it will lead you to the formation of uric acid stones. It is a family problem or we can say it is a hereditary problem in which the person passes too much cystine in urine (cystinuria). It occurs in those persons who suffer from Urinary Tract Infections. When the struvite stones become large they become staghorn stones. There are several risk factors which can make you prone to kidney stones or Who gets kidney stones? People consider kidney stones as a case of surgery because the conventional medicines do not provide cure without surgery or laser. But natural homeopathic remedies have the ability to break down as well as to dissolve kidney stones and it will also save you from the surgical process. I have treated hundreds of cases of kidney stones and all of them cured with the grace of Almighty ALLAH. Additionally, homeopathic medicines avoid the tendency of recurrent formation of kidney stones. There are a number of homeopathic remedies for kidney stones such as Lycopodium Clavatum, Berberis Vulgaris, Urtica Urens, Hydrangea Arborescens, Cantharis Vesicatoria, Benzoic Acid and Sarsaparilla Officinalis. Homeopathy is the best and safe cure for kidney stones and they are natural as well as safe. They remove the stones completely and also stops their formation in the future. So we can easily and safely handle the cases of kidney stones using homeopathic medicines. Lycopodium Clavatum is one of the effective homeopathic remedies for kidney stones when they occur in the right side. When the patient feels pain in the right kidney or the right ureter, Lycopodium is a suitable medicine for him. The pain becomes worse before urination and urine is scanty in nature. The pain of kidney becomes less intense after urination. Red deposits may present in urine and at times, urine may be turbid, purulent and pale in nature. We can also call this homeopathic medicine as the stone breaker. It is a useful homeopathic medicine to crush or break stones in kidney, ureter and as well as in urinary bladder. The presence of white or yellow sand in urine is an important symptom of Hydrangea. If the patient faces white or yellow sand deposits in his urine, Hydrangea Arborescens can cure such cases. Additionally, the patient may also feel soreness in the kidney region. At times, the blood is also present in urine. Berberis Vulgaris and Hedeoma Pulegioides – Best Homeopathic Remedies for kidney stone of left side. Berberis Vulgaris is at the top of the list when we choose homeopathic medicine for kidney stones on the left side. In Berberis Vulgaris, the patient feels the pain in the left kidney which radiates to the ureter and it leads it to the urinary bladder. The nature of the pain can be stitching, shooting, cutting and stinging in nature. The pain becomes worse due to movement or motion and urine may be yellow in color. It may accompany with slimy deposits. The region of kidney is also sensitive to touch. Hedeoma Pulegioides is another homeopathic remedy for kidney stones which is also for left sided stone. The patient feels pain in the left kidney which drags to the ureter and at times, the patient also feels burning in the left kidney. The patient also wants to urinate frequently and red sand may also present in the urine. Cantharis is a helpful medicine for kidney stone where the patient also feels intense burning sensation while urination. The symptom of burning may also occur before passing urine and may occur after passing the urine. Another significant symptom is pain in kidney along with frequent desire to pass urine. The urine of the patient may have jelly-like mucus in it. Sarsaparilla Officinalis is a wonderful homeopathic medicine for kidney stone when the patient feels excessive burning at the end of urination. Urine of the patient is scanty in nature and may consist of sandy and slimy particles. It is also a useful natural remedy for right-sided kidney stones. If the pain of the kidney stones is accompanied by nausea and vomiting, Tabacum and Ocimum can give excellent results. Ocimum Can is a useful homeopathic remedy for kidney stone of the right side along with vomiting and nausea. Tabacum is an excellent homeopathic medicine for left-sided kidney stones along with nausea or vomiting. In Ocimum Can, the color of the urine is red or saffron and the patient feels burning sensation while urination and also feels restlessness. The symptoms which can lead to the selection of Tabacum are yellow-red urine, sensitive renal region and cold sweat. Pareira Brava is an excellent homeopathic remedy for kidney stone where the pain from the kidney drags down the thigh. At times, it may go to the feet from the kidney region. The patient consistly wants to pass urine and it is passed with a lot of pain. He also feels pain in glans while passing urine. Stingy mucus along with red sand may also present in the urine. Urtica Urens is a helpful homeopathic treatment for kidney stone in those cases where the levels of uric acid are high. It will be used as an effective homeopathic medicine which can dissolve the kidney stone. It is also helpful for kidney stone with Gout. Sarsaparilla, Nux Vomica and Lycopodium are the top homeopathic medicines for kidney stones when they are right-sided. Lycopodium is the medicine when the patient feels lower pack bain before urination and it gets better after draining the urine. Sarsaparilla works wonderfully in dealing with right-sided stones when there is sever burning pain while passing the last drops of urine. Nux Vomica is a helpful medicine when the patient has an unsatisfactory desire for stool with Nephrolithiasis or kidney stone pain. Pareira Brava, Berberis Vulgaris and Tabacum are helpful natural remedies for left-sided kidney stones. In Berberis Vulgaris, the pain drags down to the ureter and the bladder. The symptom of blood in urine may present. Tabacum works efficiently in cases of left-sided kidney stone pain when it is accompanied by nausea and vomiting. Pareira Brava is an ideal homeopathic remedy for kidney stone of the left side when the patient has a constant urge to urinate with intense pain. Some other homeopathic remedies are Carbo Veg, Natrum Mur and Calcarea Carb.